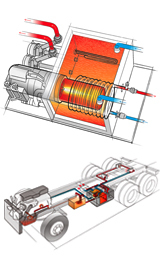 The Dual Circuit WORK READY coolant-based heating system uses one circuit for the engine preheating loop and the other for up to three thermostatically controlled temperature zones off two primary heating loops. Not only can your trucks use on-board fuel, with TribridHot as standard, they can also pull heat from the engine while on the road or plug into AC power at the shop. With a Dual Circuit, dedicate one circuit for the engine and fluids preheating. 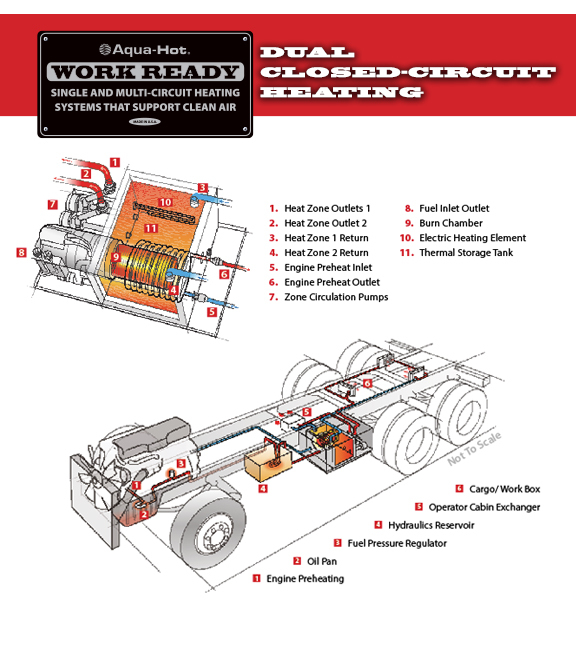 Use the second circuit to put as much as 64,000 Btu/h into the cargo/work box space for warm and productive people.